In my last article I explained the Required, Range, Compare and Regular Expression validation. 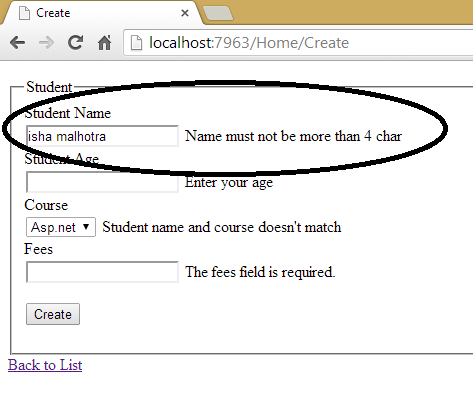 In this article I am going to explain the String Length validation. 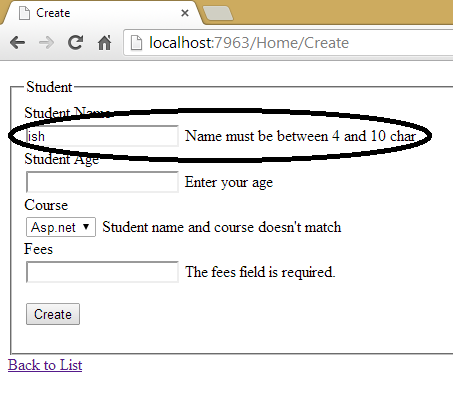 When we need to specify the length of the string entered in the textbox then we can specify the StringLength Attribute. This 4 represent that we can enter maximum 4 characters. As you can see that now it’s taking char between 4 and 10.